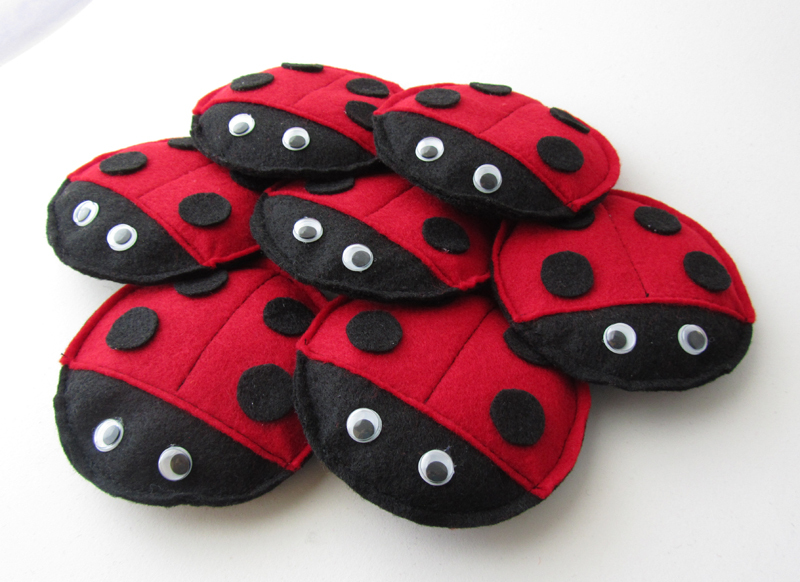 These ladybug bean bags were a big hit at my daughter's 4th birthday party. 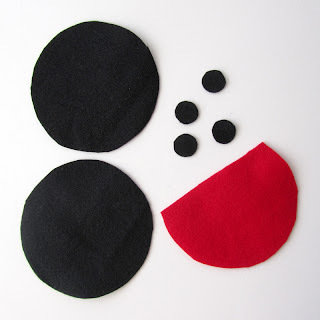 Not only are they fairly simple and inexpensive to make, but you can play some fun games with them, too. Plus, they can double as party favors for your guests to take home. If you are making a few of these, it's a good idea to make a pattern first. 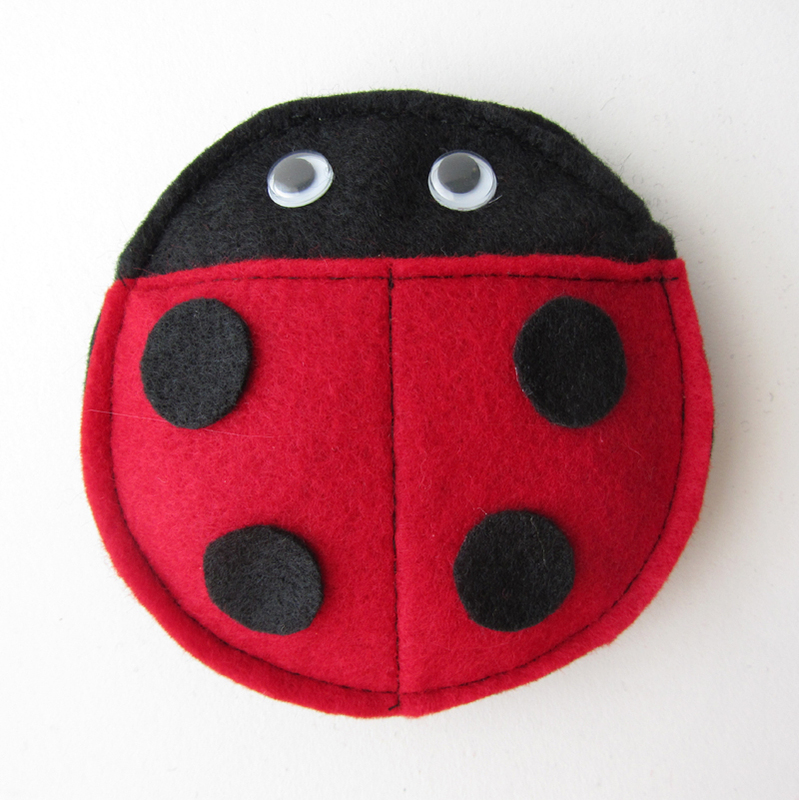 To create the pattern for the ladybug, all you need is a large circle for the body, and a smaller circle for the dots. I just looked around the house for something round to trace that was about the size I wanted (I made mine about 4" in diameter). I traced two large circles onto card stock, then cut the side of one of them off to use as a pattern for the wings, and traced one small circle for the dots. 1. Trace your pieces onto felt and cut out. 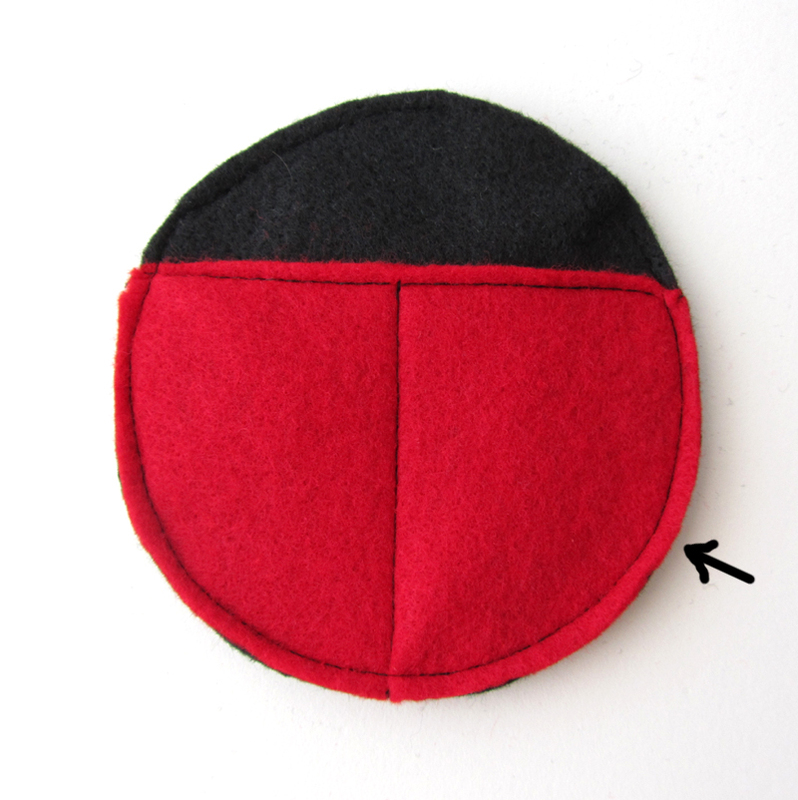 For each ladybug, you will need two large black circles, one red semi-circle, and four small circles (or as many as you like!) for dots. 2. 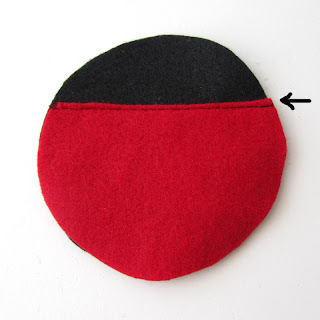 Place the red semicircle on top of one of the large black circles, and stitch along the straight edge of the red piece. 3. Stitch a straight line down the middle to mark the middle of the wings. 4. If you want to add a ribbon to label the ladybugs with your guests' names (this comes in handy for one of the games suggested below), now is a good time to do that. 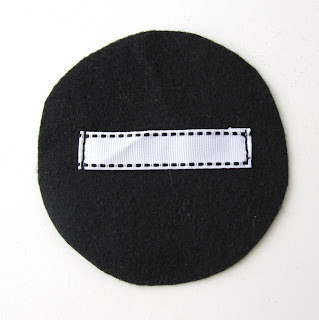 Cut a 3" strip of your grosgrain ribbon. 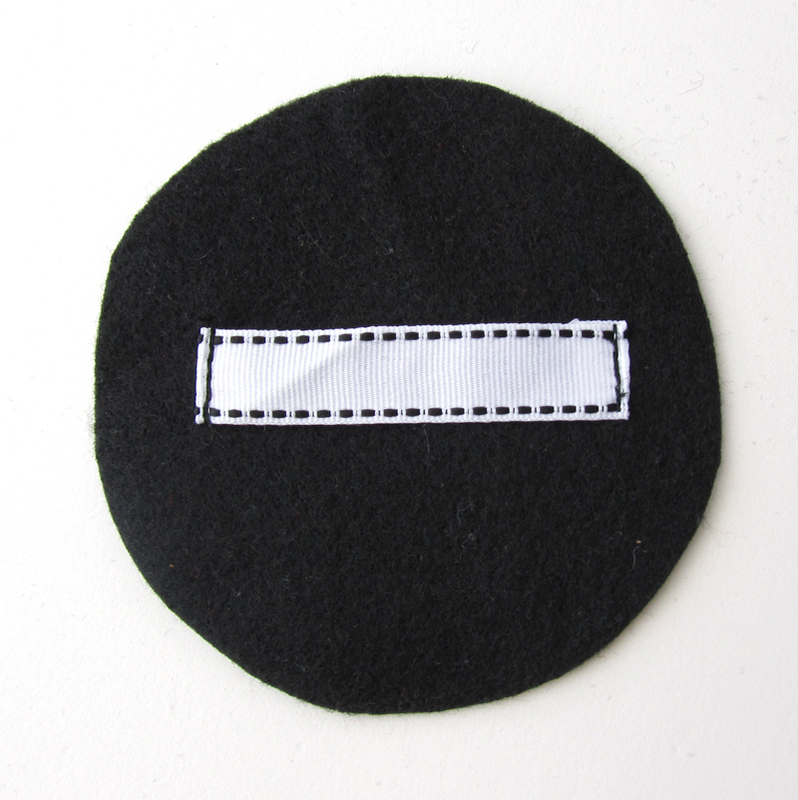 Fold under about 1/4" of each cut edge, and stitch to the back of the other large black circle. 5. 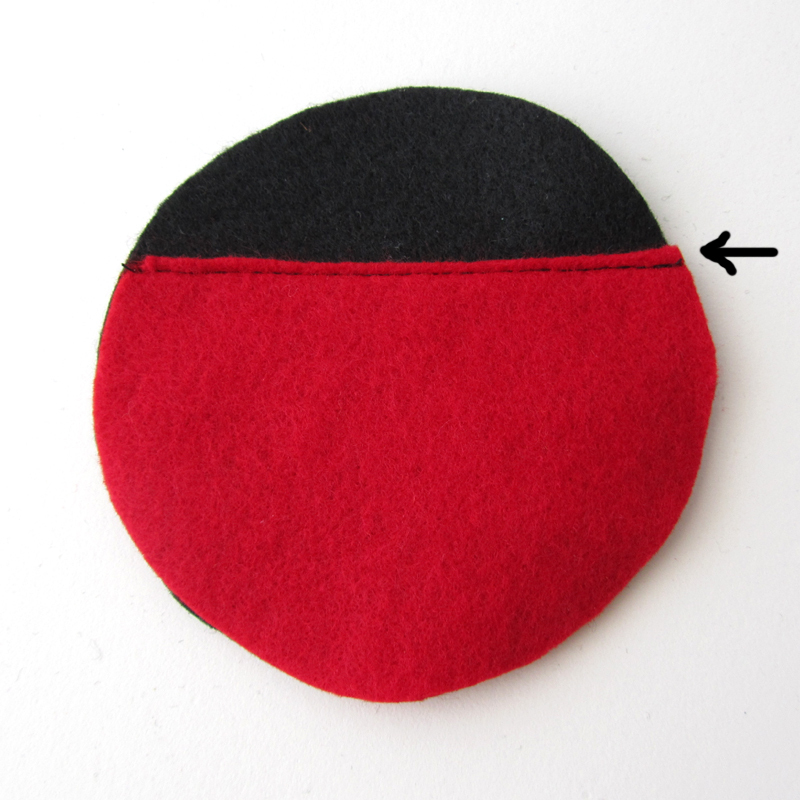 Place the two body pieces together, right sides facing out. Stitch around the outside edge, leaving a 1" opening to fill the ladybug with beans. 6. To fill the ladybugs with beans, insert your funnel into the opening, and add a few beans at a time until you reach your desired bean bag consistency. I think we used about 1/4 cup per ladybug. Depending on the size of your funnel and the size of your beans, you may need to shake it around a bit to keep them from jamming up in the funnel. My daughter had lots of fun helping with this step! 7. Stitch the opening closed. Now the body is done, and it's time to add the details. 8. Use your hot glue gun to attach the spots and googly eyes to each ladybug. Mark your starting point. We used a couple of flower pinwheels stuck in the ground. Set up a few empty clay plant pots at different distances from the starting point. 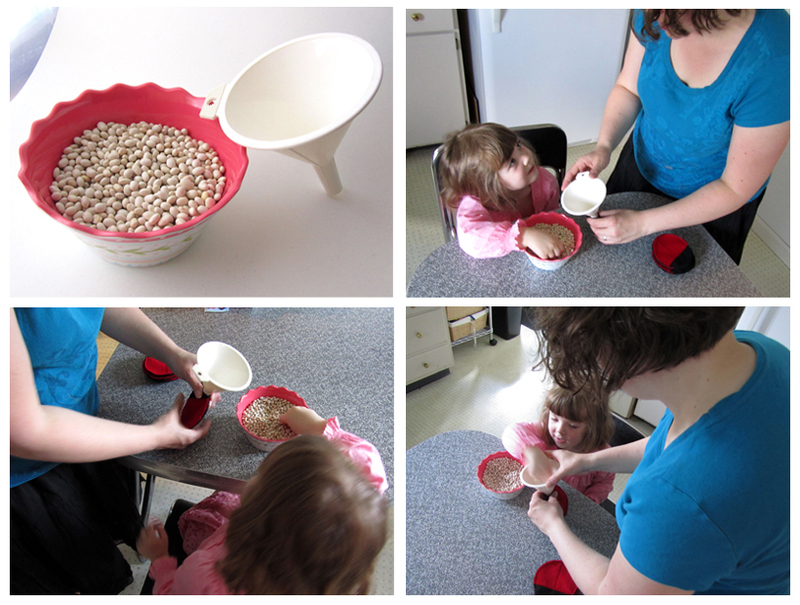 Have each child stand at the starting point and try to toss the ladybugs into the pots. 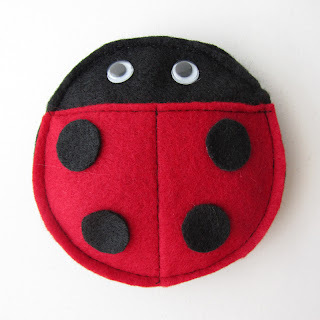 To play this one, you will need to mark each player's ladybug with their name. I did this by writing their names with permanent marker on the ribbon labels. 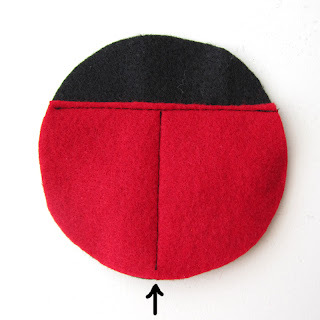 Gather all of the labeled ladybugs in the center of a blanket. Have the kids grab onto the edges of the blanket and heave it up and down to fling the ladybugs off. 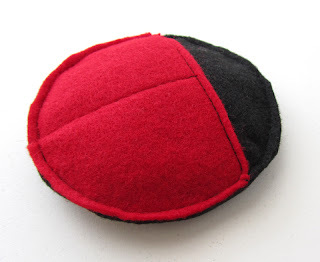 While this is certainly a fun activity on its own, you can increase the excitement by playing like musical chairs...the last ladybug to remain on the blanket gets to be the first to pick out a prize. These are so cute! I'm a first grade teacher and I think I might try to make these for my classroom! I think the kids would love them! Thanks so much! If you do make them, be sure to take pics and let us know how they turn out...we'd love to see!